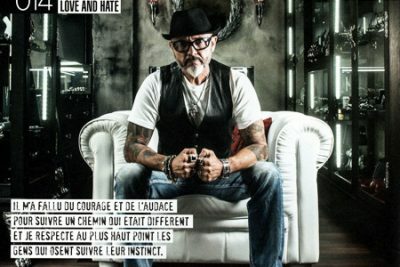 Created in July 1999 by the prolific and artistic talent Thierry Martino, SoulFetish quickly established itself in the magnetic world of rock chic jewelry.This virtuoso of carved metal has a secret. 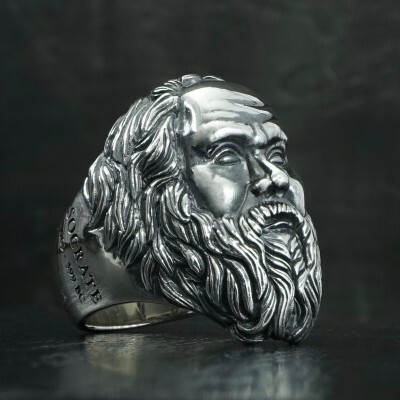 He dives deep into the dark historical symbols of rebellion to make inspired and inhabited jewels, which reflect our innermost richness. Carpe diem! Drawing from the memento mori imagery, as well as from mystical symbolism, heraldry, or fantasy, SoulFetish by Thierry Martino transcends them to give them a nobility of heart and ceremonial dimension. Thierry creates refined protective jewels, icons, talismans and even lucky charms. 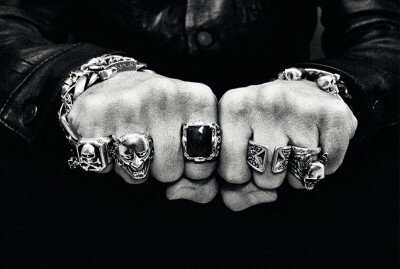 Alchemy and symbols are at the heart of those who dwell in his world of jewels. Nothing is left to chance, it’s all about paying tribute and making it its own. Thierry Martino may have displayed a variety of references in his evolving art; he always stayed true to himself. He is a humanist, a visionary, a rebel and an artist at heart. But first he was born! Thierry Martino worked at the famous French brand Reminiscence from 1990 to 1995, in a world of beauty and fanciness, at the heart of know-how. A Made in France touch that he will polish at the Ecole Nationale de bijouterie de Saumur. Thierry Martino opened his first two shops in the South of France in 1992. But curiosity took over! Thierry traveled around the world to discover other cultures. Initiatory and shaman encounters enriched his experience and influences. It transformed his Art and laid the foundations for what was about to become SoulFetish. environment. Thierry Martino surrounds himself with talented craftsmen who share his artistic and altruistic vision. perfect object, without which an Art is not an Art. part of the making of SoulFetish® and of the development of the firm. life. This is Thierry Martino’s commitment to his customers. The thirst for mystery, spirituality, and other cultures led Thierry Martino to Thailand. The adventurous and solitary traveler immediately fell in love with the welcoming kingdom of Siam, in perfect harmony with his own dreamlike realm. There he met Ankhanang, his muse, soon to be his bride. Together, they raised SoulFetish from the ground. Thierry’s expertise in jewels, his taste and French background, together with Ankhanang’s sensitivity and Thailand’s ancestral craftsmanship have made SoulFetish a brand apart. Out of its case comes SoulFetish, a workshop built in respect of tradition, and in perfect harmony with its environment. 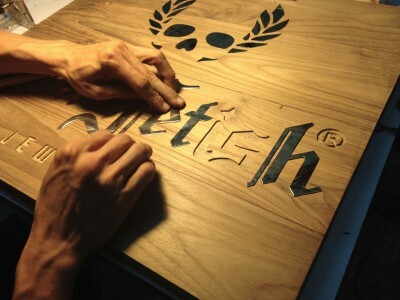 Thierry Martino surrounds himself with talented craftsmen who share his artistic and altruistic vision. 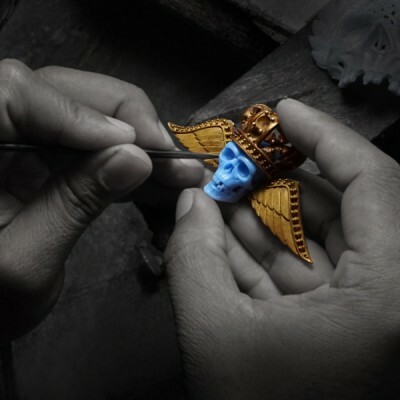 Together, they imagine the SoulFetish jewels and shape them according to the traditional techniques of the jewelry craftsmanship. They have in common such fundamental values as sharing and honesty and love of the perfect object, without which an Art is not an Art. These seasoned craftsmen, designers, sculptors, polishers, jewelers, casters, mould makers, stone setters, are all part of the making of SoulFetish and of the development of the firm.